My Nevada '69, the 40th "second series" '69 off the assembly line (short neck diff, 3 speed heater blower, etc etc) was assembled 48 years ago today. I ordered the car in January '69 from Bavarian Motors on Northern Blvd in Queens, NY but didn't take delivery until May 1969 due to an East Coast-wide dock strike that lasted for three months. Daily driver from 1969 to 1999, then into rehab for body refurbishment--all 30 years were on salty Ohio roads. Now he alternates summer daily driver use with Ludwig, my '73 and George Fredrich, my '91 318is. 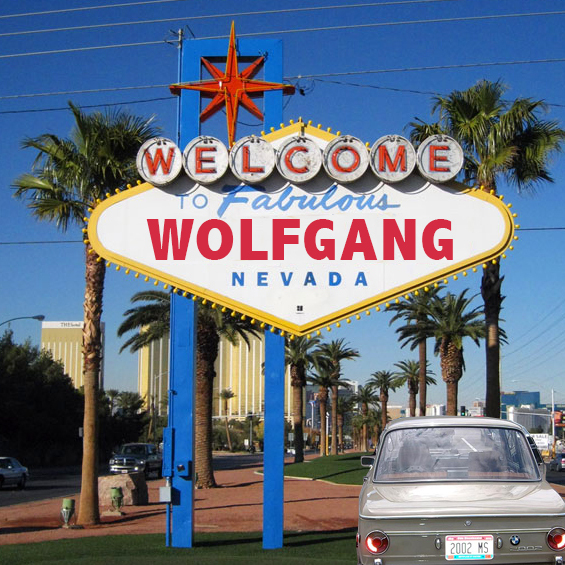 Wolfgang is the car on the right in my avatar picture; Ludwig is on the left. Mike, are you going drive it to Vintage this year? Like to see it. My 69 doesn't have a 5 speed and I'm thinking of driving it to Asheville in May. Kind of like an early birthday drive for Oscar. New stock tii rear muffler recently acquired from BLUNT may be installed to reduce the drone on my 51 year old ears - although the ANSA muffler sounded nice in the tunnels last year. I'm late to the party, but happy birthday, Wolfgang!